The Apple Watch isn’t available for preorder yet, but that hasn’t stopped accessory makers from proudly showcasing their wares for the upcoming device. We still don’t know if Apple will let Apple Watch accessories connect directly into the smartwatch’s mysterious port, but there will be plenty of fancy stands and even some third-party bands. 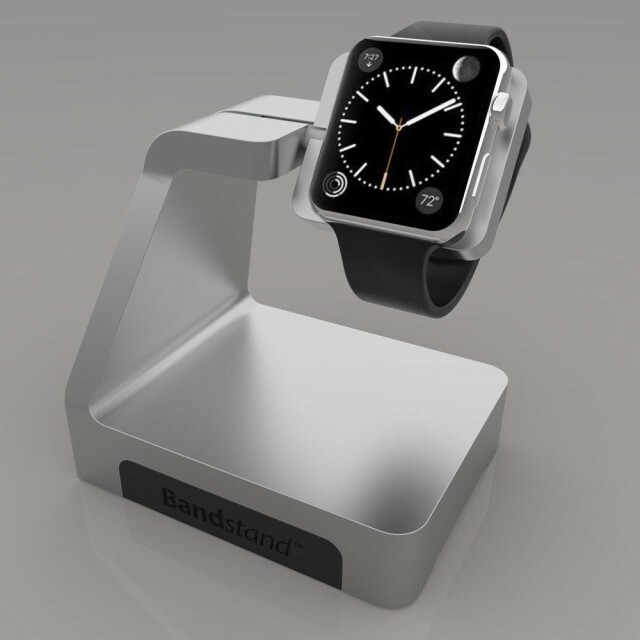 Twelve South is bringing its expertise in making stands to the Apple Watch. The HiRise will charge the Apple Watch by routing the wire for Apple’s inductive puck through the back. 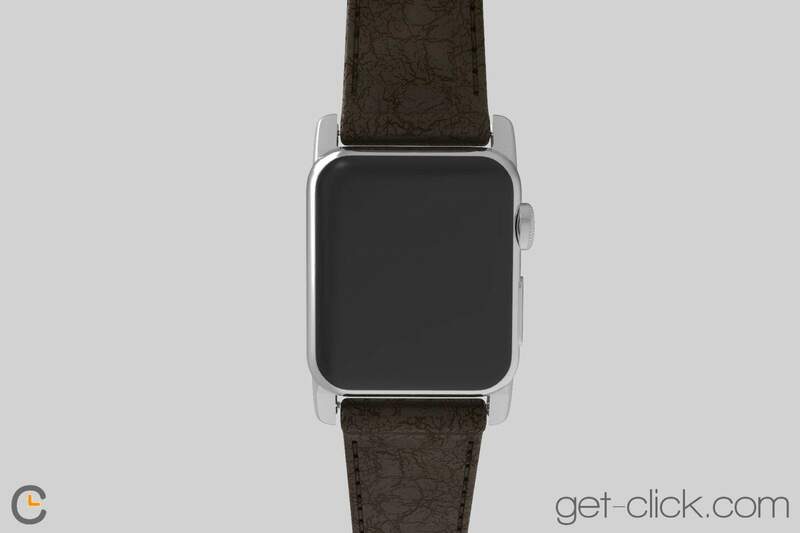 A leather landing pad gently cradles whatever band you have on the Watch. The HiRise will support both Apple Watch sizes and come in two colors: silver and black. It will cost $49.99 and start shipping in May. 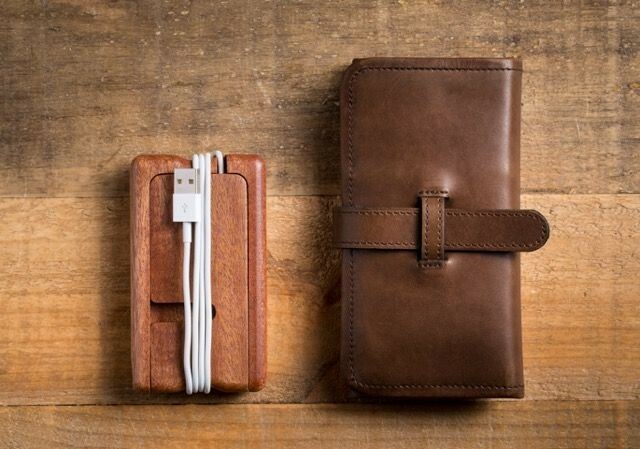 Minneapolis-based Pad and Quill is known for its quality cases and bags made from real leather and wood. 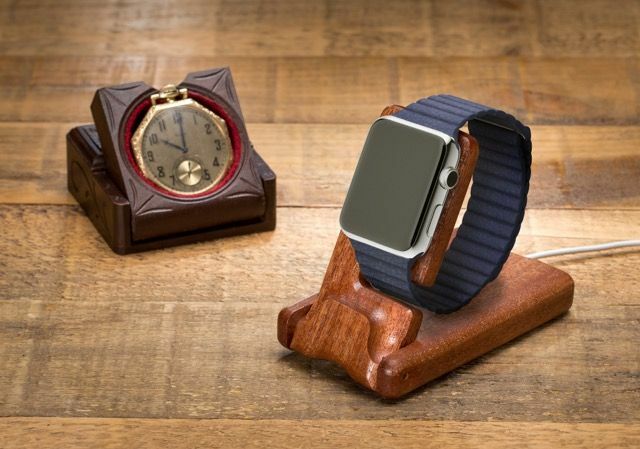 The Luxury Pocket Stand for Apple Watch is a collapsable charging stand “hewn from a single piece of African mahogany or American cherry.” It looks (pardon the pun) timeless. You can preorder the American Cherry stand for $69.99 now (will go up to $79.99) and the African Mahogany for $79.99 (will go up to $89.99). Shipping in May. 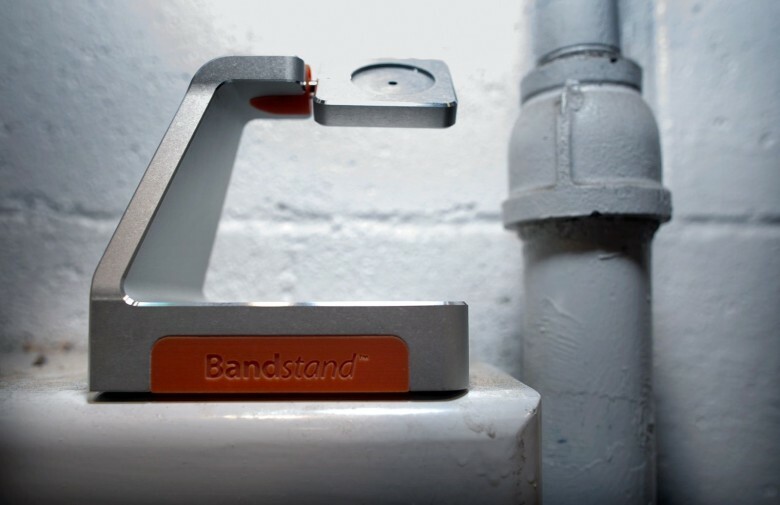 Bandstand puts the Watch on a swivel mount that doubles as an inductive charger. The prototype we saw at CES earlier this year was solid and well made, so if you’re in the market for a stand, it’s worth considering. Shipping starts this summer. Price TBA. Casetify, the company that lets you design your own phone case, is already accepting preorders for design-your-own Apple Watch bands. 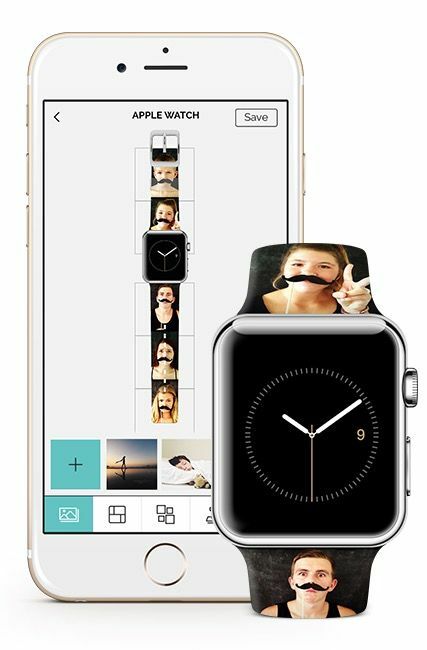 You can customize bands with either photos you’ve taken from Facebook or Instagram or Casetify’s own designs. 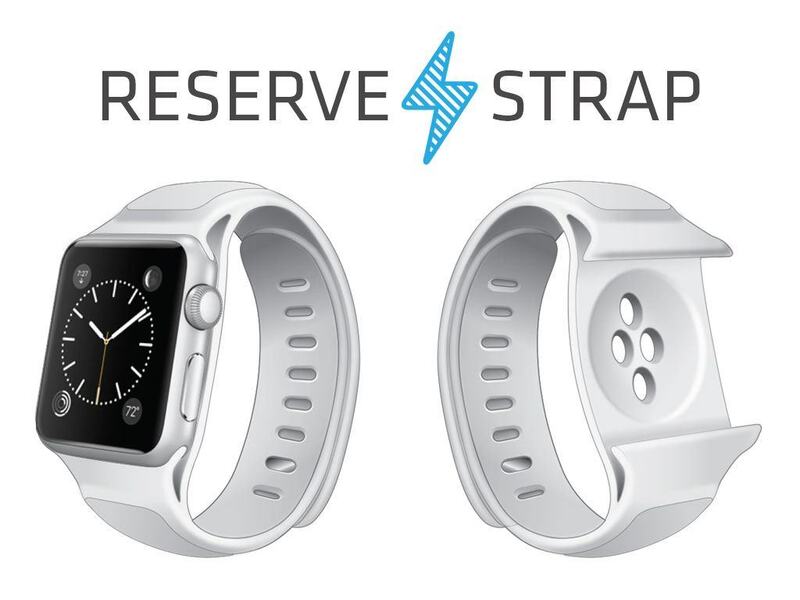 Made from polycarbonate silicone, bands come in 38mm and 42mm for both Apple Watch sizes. 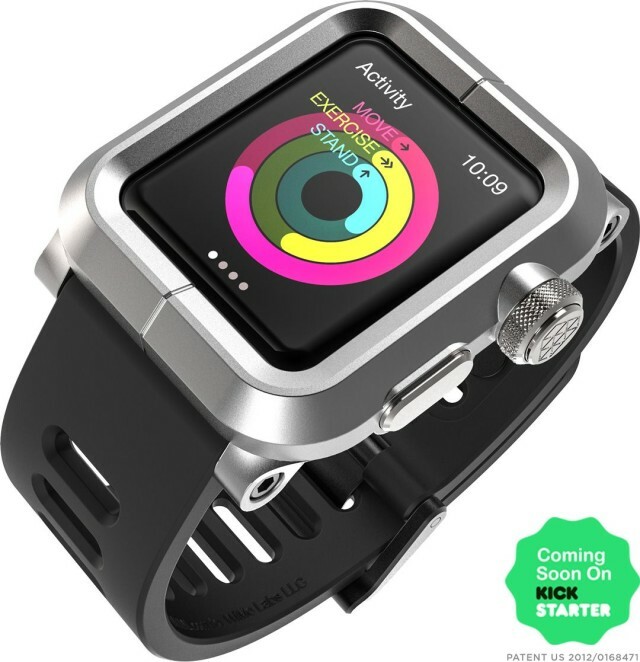 Each band costs $50, and shipping starts in June. Bikers rejoice! The CyClip will let you mount an Apple Watch on your bike handle. It uses metal die-cast parts to “meet the demand of the road.” No price or shipping date yet, but you can sign up for updates at the link below. 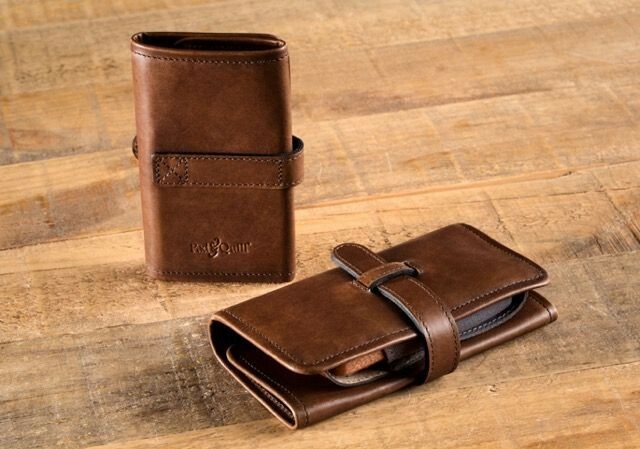 Pad and Quill is also selling a $49.99 grab-and-go travel pouch for the Apple Watch made from “full grain American steer leather.” It can hold the Watch, charger, and an extra band. The leather looks gorgeous, and each kit comes with a 25-year warranty. The Apple Watch isn’t waterproof, and while the risk of dropping it is low, its fine metals probably won’t do well with taking bumps. Lunatik is planning to make a ruggedized case with hydrophobic vents to provide “an added layer of dust and water ingress protection.” The design will accommodate all features, including the Watch’s heart rate sensor. The Epik will move from the prototype phase to crowdfunding soon, and Lunatik plans to ship it around three months after the Watch debuts on April 24. 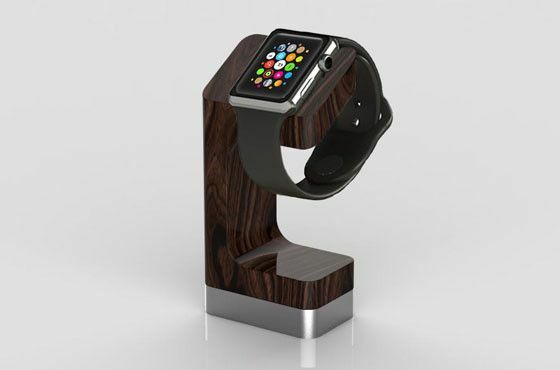 Nothing shows that you have good taste like a simple wooden charging stand made from California American Walnut. DODOcase is making each one of these by hand in San Fransisco, and it’s designed to fit all Watch models and bands. Shipping begins 4-6 weeks after the Apple Watch goes on sale April 24. You can preorder for $69.95. Pad and Quill’s last Apple Watch offering is the Luxury Travel Kit, which comes with a portable charging stand. The roll-up pouch is made from American full grain leather and a soft cotton interior, and there are two woods to choose from for the stand. 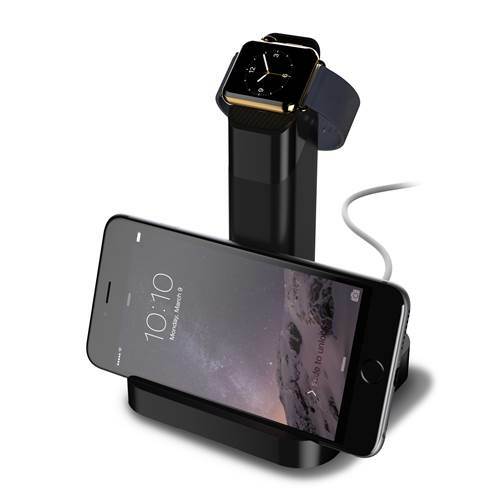 It’s big enough to hold multiple straps along with the stand, Apple Watch, and charger. You can preorder now for $119.99. 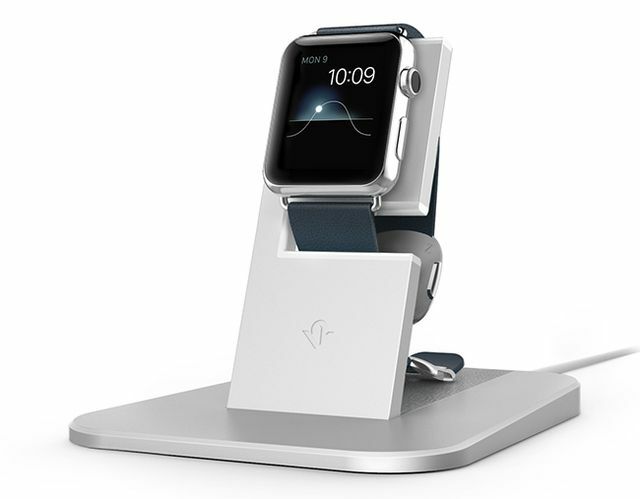 Griffin’s WatchStand has a slightly different profile from the other Apple Watch stands we’ve seen. The charger and cable slide up the stand’s hidden interior through the back, and the inductive puck rests nicely at the top. As an added plus, the stand’s weighted base can hold an iPhone at a nice viewing angle as well. Available this summer for only $29.99. This is the most interesting Apple Watch accessory we’ve seen yet, and hopefully it will actually work. The Reserve Strap wants to be like a Mophie charger case for your Watch. The band has embedded batteries and utilizes magnetic inductive charging to increase the Watch’s battery life by up to 125%. Preorders are available on the product’s website for $249.99, which is definitely pricey. No shipping date has been announced. Click is the first patent-pending watchband adapter that will allow any standard 24mm band to work with the Apple Watch. The spring bar uses the Watch’s sliding and locking mechanism to let you use your existing bands. The adapter will come in 38mm and 42mm sizes and be available in four colors. It’s currently in the prototype phase, and a Kickstarter will be going live in a couple weeks to secure funding.